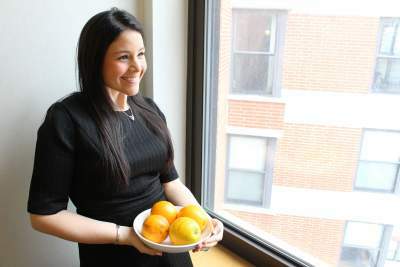 Megan Wolf is a New York City based Registered Dietitian and the owner of Megan Wolf Nutrition LLC, a nutrition counseling and consulting private practice and she is available for hire. Megan holds a Masters degree in Clinical Nutrition from New York University and a Bachelors degree in Anthropology from Bates College. Megan is an avid cook, public speaker, and recipe creator. You can find healthy recipe videos and more on WeightZen.com. Her first cookbook, Great Meals with Greens and Grains is available now! She lives in New York City with her husband and two children.